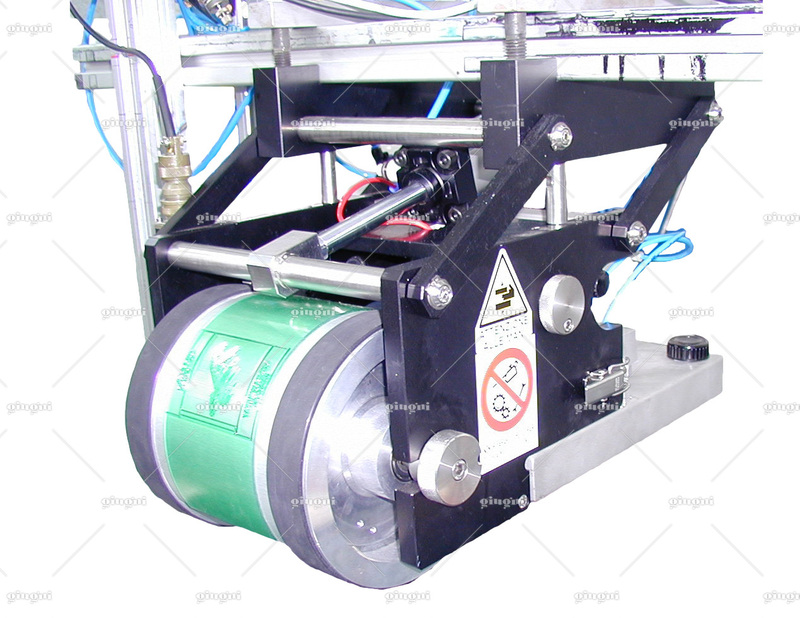 Maximum printing area: 90 x 120 mm. Operating speed up to 40 meters per minute. Notes: ideal for printing on sheets of glass. Model 374 is a flexographic one colour printer planned for printing on glass sheets up to 6 meters long and from 6 mm to 40 mm thick, flowing in-line at a temperature between 18 and 45 degrees. Only horizontal position is available. The inking system includes a stainless steel, a ink reservoir with a capacity of 3 litres and a solvent reservoir from which small drops of solvent are injected into the ink to keep its performances constant. This system is electronically controlled. Laser engraved ceramic roller (anilox) and doctor blade. Approximate dimensions 525 x 305 x H. 394 mm. Approximate weight 35 kg.